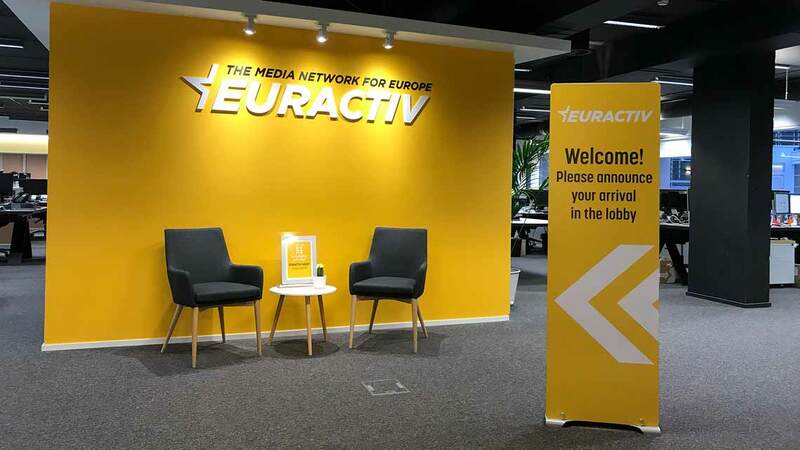 We manufacture a range of permanent and portable display stands for offices, showrooms, and exhibition stands, quality portable banner stands that are both durable and unique. Our portable exhibition stands are used to display pop up banners, posters, brochures & leaflets and permanent signs. We can even print your logo or a chosen design on to items like the wall mounted leaflet holders and pop up banner stands to give your display a personalised touch. Displays are built to withstand the rigors of trade shows and long-term display in public areas. Offices and museums throughout the UK use our systems. They are an elegant way to display graphics and corporate literature in receptions and foyers. We use contemporary materials and finishes to manufacture our portable exhibition stands. 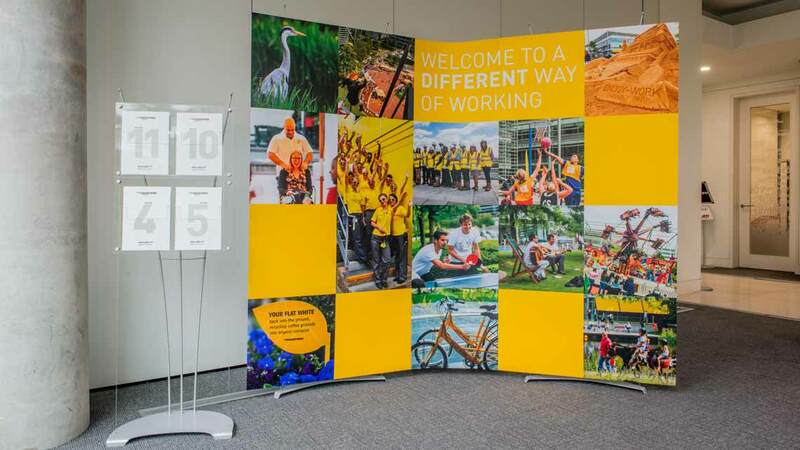 Our D4 displays are modern banner stands suitable for offices, showrooms & visitor centres. We use the latest banner printing technology to output our D4 banners. These are ideal for exhibitions, temporary events, and permanent display. Join D4 banner stands together to convert them into small exhibitions systems. We also resell a variety of roll up banner stands at price points to suit all budgets. Smaller A1 and Mini banner stands complete our range of portable banner and exhibition displays. Our D3 system uses modular acrylic components to create brochure or poster display stands. Display different sizes of brochures from one leaflet display stand. You can also combine brochure and poster holder components on one stand. Custom printed graphic panels allow you to completely brand the display. 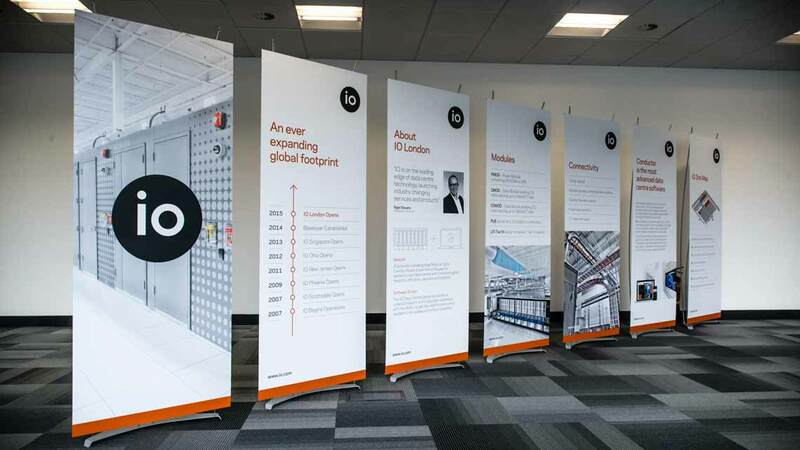 Our leaflet display systems have a contemporary design, suited to modern offices. The patented D3 & D4 systems are available in a variety of standard configurations. 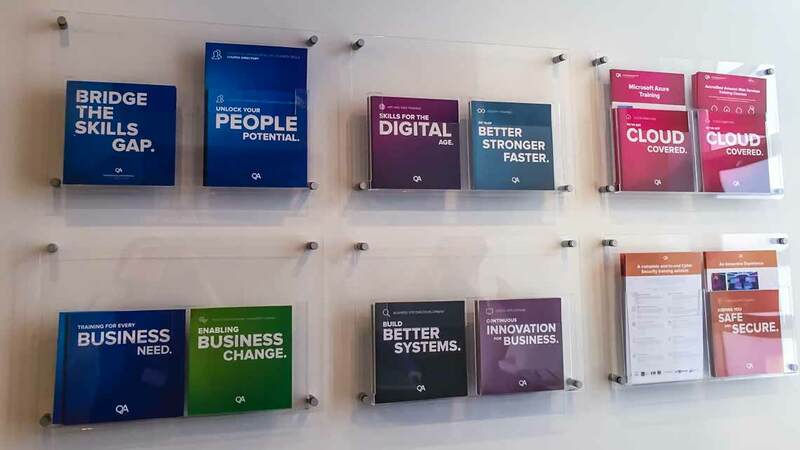 For more permanent display solutions we have a range of wall mounted brochure and poster frames. These come in standard poster sizes. Put our magnetic poster display systems anywhere to display smaller poster graphics. We stock A4, A5 and DL literature pockets for both the D3 Display system and wall fixing. Slim LED light boxes for wall fixing or desktop display are available in a range of standard sizes. We also supply custom graphics on a variety of materials. If you need a bespoke display, we can design one to suit your requirements. Our modular off the shelf components when combined with custom banner printing allow us to create bespoke display stands for clients. Leaflet and poster holder components can be placed anywhere on the panels to create a one-off stands. Founded in the early 90’s. Dimensions Displays have been supplying corporate display stands since 1997. We’re based in south London where our warehouse has plenty of stock ready for quick delivery. We have patents & EU design registrations for our D4 and D3 displays. Customers include SME’s and multinationals, such as Deutsche Bank, Standard Life & BBC. Design, Construction & Engineering, Property, Financial, Technology sectors invest in our displays. Already a client? We’re always keen to see our products in use and reward clients that send us decent pictures.